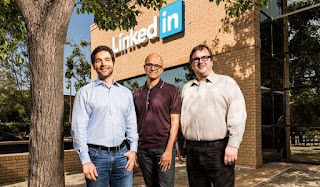 Microsoft purchases LinkedIn. Yes; the Redmond goliath has reported a $26.2 billion arrangement to procure proficient online networking stage, LinkedIn. As indicated by the official proclamation, Jeff Weiner will remain CEO of LinkedIn and will answer to Microsoft CEO, Satya Nadella. The arrangement has been consistently affirmed by both organizations' and is required to near to the end of 2016. The procurement is still subject to endorsement by LinkedIn shareholders and controllers. On the off chance that it pulls through however, Microsoft will at long last join the group of online networking stage owners. One can dare to dream that they don't slaughter off LinkedIn.